GETTING ALL THE VISAS FOR THIS TRIP IS A LOGISTICAL AND NOT TO MENTION EXPENSIVE NIGHTMARE. Processing time 7-10 days for authorization number and another 3 weeks for visa. I will apply for a one month tourist visa whilst in London with my British Passport and will then try and slip out of the UK on my New Zealand passport pedalling my heart out having just 90 days to get to the border. Only a slight hick up. after going to the Embassy to drop off the application only to be told to come back on the 5Th of April. Shame i will already be on my way. To speed things up I have now posted my application. Fingers crossed this will work. The other visas I will apply for on route. is great because with my New Zealand passport I can just turn up on the border to get a visa and it is free. Aussies and UK holders have to pay. Cost 5 day transit visa $65 usd for British passport holders. and 50.00 US$ for a letter of invitation from a travel agent. Processing time at least 5 days. In reality I applied for the Turk men visa in Tehran and was then able to pick it up in Mashhad 2 weeks later. This meant i didn’t lose any time………..I got it on the spot. but they did charge me $85.00 in the end. Applied for in Ankara will pick up in Tehran. 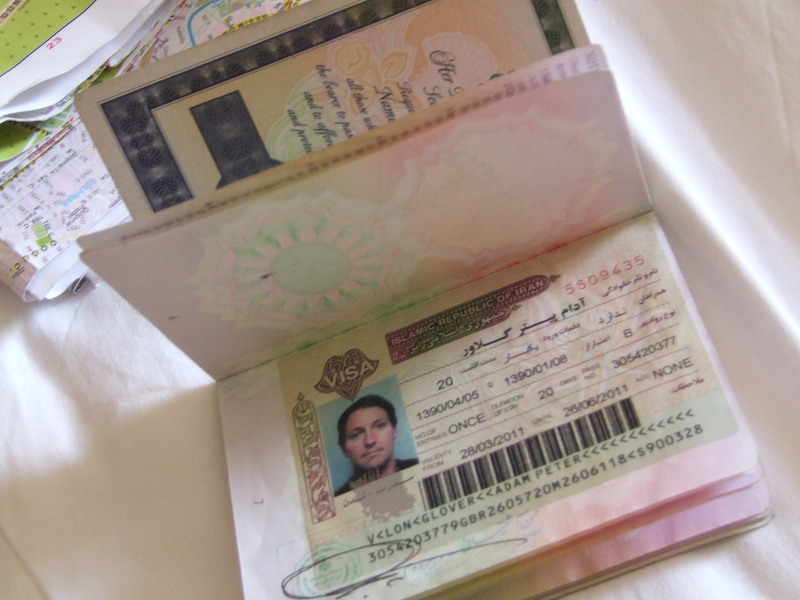 In reality I got the Uzbek visa in Tehran on the spot. Cost ( $50.00) 1 month. May get extension. Visa extension Applied in Lashen. 27.00 US$ for 30 days. 2 days to process. Cost 385 (£38.50) 1 month Extension possible after arrival. apply for visa in Kunming 3 days to process. Visa has set dates. Visa extension in Hue……….Blackmailed into paying US$ 50.00 bribe. Cost US$ 40.00 60 days. Apply Hanoi Vietnam 2 working days. Cost 170Rm for 60 days. Apply Can’t apply in Jakarta For some strange reason the embassy doesn’t issue visas. Authorisation letter in Kupang. (3 Days) Then collect visa on the border. No visa required with New Zealand passport. Entry stamp given on border British passport now filled. July 2012…………passport is nearly full. Only 3 pages left.